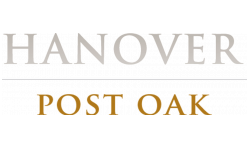 At Hanover Post Oak, in the Houston Galleria area, home is more than just a place to rest your head. Our philosophy is that exceptional service isn't just a perk or premier luxury living, it's the standard. And we strive to Making Life Easy. Enjoy 24-hour concierge, valet dry cleaning service, a state-of-the-art fitness center with TechnoGym equipment, executive conference rooms, a private media room and so much more. It's time to enjoy a less complicated luxury in our Houston Galleria high-rise apartments.